Stress Free & Affordable Junk Removal. 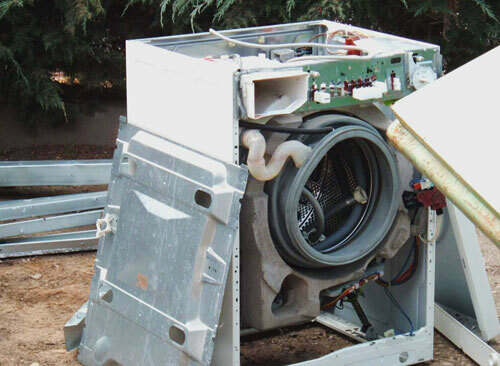 Got a Broken Washing Machine or Dryer? Over the last 10 years there have been many changes in the way that we live; 10 years ago, the original iPhone was a new idea. Chances are you’ve seen many changes even in your own home, including upgraded appliances such as washing machines, dryers, etc. The average life expectancy for a washing machine is 11 years, so you’re doing well if yours has lasted longer. It may be a while ago, but you can probably remember the trouble it caused when you went to remove it. Usually needing a few people to lift, it can be hard work, and it can be hard to know what to do with it. You may have had it sit around for some time before finding a way to dispose of it – or it might still be sitting there! 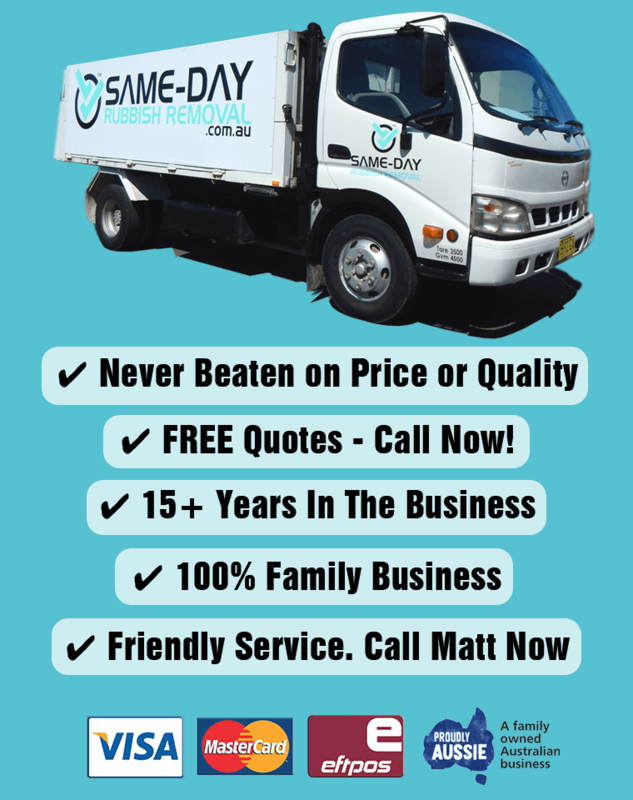 When it comes time for you to remove your washing machine or other large appliances, call Same-Day Rubbish Removal. 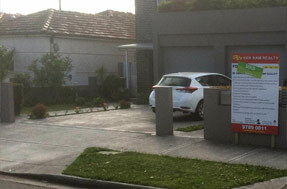 We offer the easiest, cheapest and fastest junk removal service in Sydney. Same-Day Rubbish Removal has been removing washing machines, clothes dryers, and other large appliances for many years and we’ve refined our process so that we can offer the cheapest waste removal service available. We know our way around Sydney and our experienced team are fast at loading up the truck, this means that our time is minimized which saves you money. Even though we’re fast, our team will never leave a job incomplete – we make sure your property is looking spotless. Our convenient service extends from Liverpool to the Northern Beaches, including everything around and in between. Our friendly team pride ourselves on the fact that we do everything we can to dispose of junk responsibly and try to recycle everything that we can. 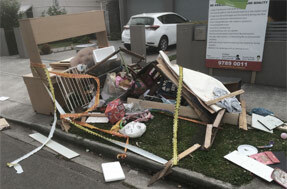 You don’t have to worry about your trash going to the wrong place when you use Same-Day Rubbish Removal. If you’re ready to clean up your home and remove your large, broken, unwanted items, call us now on 0402 737 046 for a free quote. You won’t be disappointed with our service. It doesn’t matter what brand or type of washing machine you buy, one day, it is probably going to break down. You hear people recommending all types of makes and models, but recyclers see them all at some point. Some of the most popular brands include Miele, Simpson, Bosch, Fisher & Paykel, LG, Samsung, Electrolux and Whirlpool. These are all good brands, and if it’s less than 10 years old, we believe it is worthwhile trying to have it fixed. It’s worth checking your warranty too – there’s a chance it may still be covered! Top loader, front loader, combination dryer, or even hand cranked, there’s no machine that will be too difficult for our team to take to the recyclers, so give us a call today.